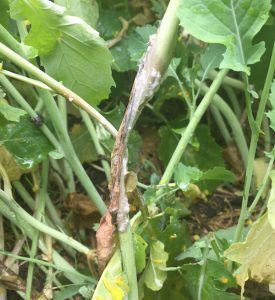 Five questions that could help with your sclerotinia spray decisions. 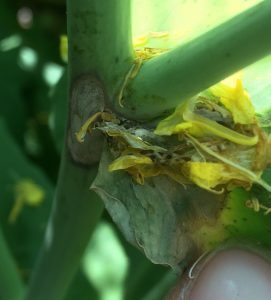 Soil moisture and rainfall leading up to flowering is an indicator of sclerotinia stem rot risk. 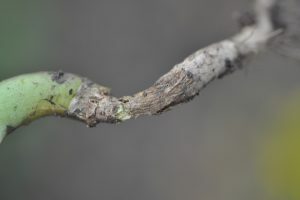 Rain in this pre-flower period will have apothecia emerging and spore release occurring around the time of early flowering. 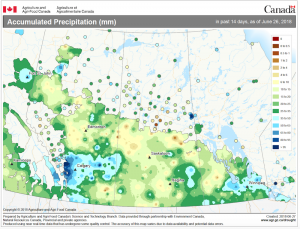 This map from AAFC’s Agroclimate website shows precipitation accumulation across the Prairies from June 12-26. 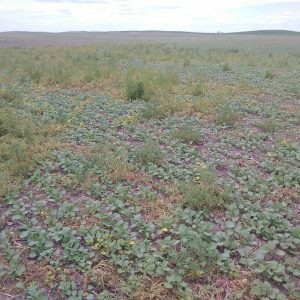 CCC agronomy specialist Angela Brackenreed describes the moisture situation at her sentinel field, including a comparison of soil moisture reserves for 2018 versus 2017. 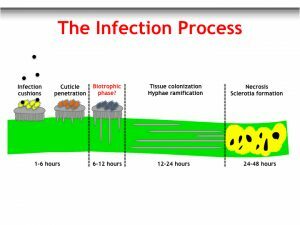 Michael Harding with Alberta Agriculture & Forestry recently compared 10 disinfectant solutions to see which is best to kill clubroot spores. 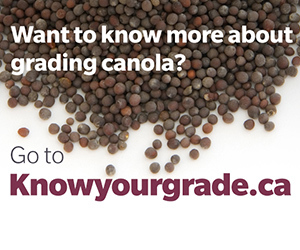 Four of those 10 products achieved 95% inactivation of clubroot resting spore viability, qualifying them as effective. Of the four, bleach achieved the 95% threshold at very low concentration (2%) and bleach is the lowest cost and easiest to find. 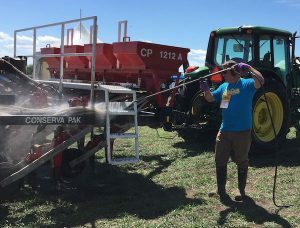 With Saskatchewan and Alberta enjoying highly successful canolaPALOOZAs this week, the attention now turns to Manitoba’s CROPS-A-PALOOZA, July 25 in Portage la Prairie. 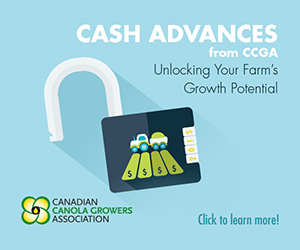 You can listen to SaskCanola’s Canola Connection radio shows online. 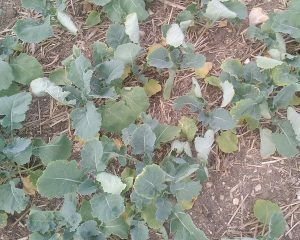 The latest weekly show features Clark Brenzil talking Group 2 herbicide carryover. 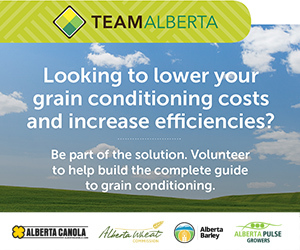 Clover cutworm damage has been confirmed in a few fields around Weyburn, Saskatchewan. 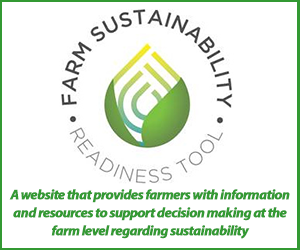 They are a climbing cutworm and can be easily confused with bertha armyworm. 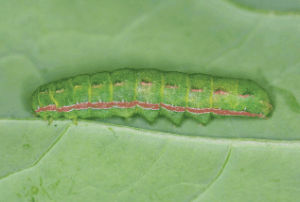 The most distinct difference between the two species is the wide stripe along each side; it is yellowish pink on clover cutworm and yellowish orange on bertha armyworm.